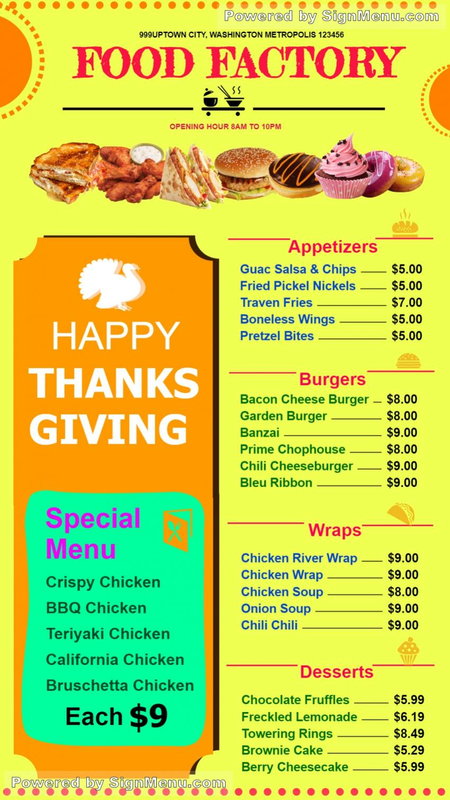 This template showcases the menu of a Thanksgiving day menu specials. Please note the bright colors and fonts along with graphics to entice the target customers. This template is best showcased on a digital screen and placed at the entrance of the restaurant as well as indoors. This template provides a benchmark for your actual menu board and is ready for use and download.